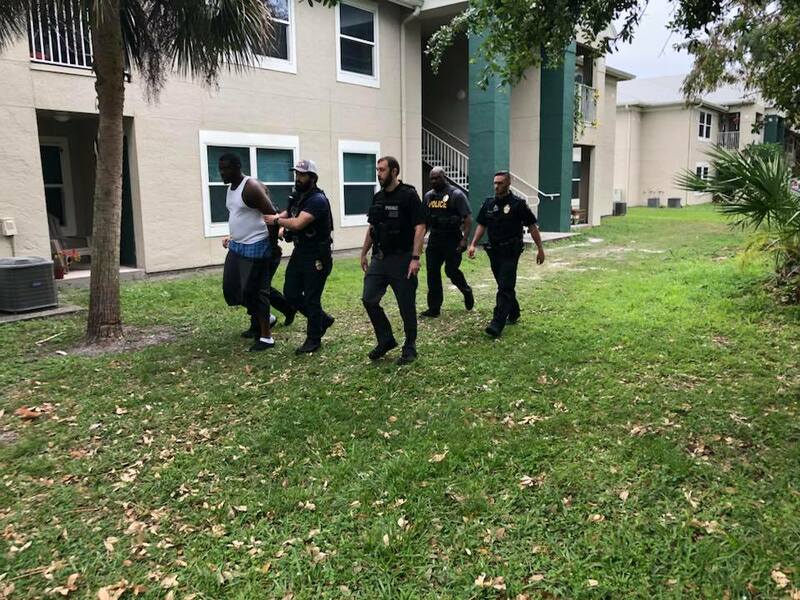 Stuart, Fl– On April 9, The Stuart Police Department conducted a Narcotic Search Warrant on a residence within The Crossings Apartment Complex. Detectives, working on a Crime Stoppers tip of possible narcotics activity, were able to launch an investigation and secure a search warrant for the apartment. Upon execution of the search warrant, Detectives recovered 4 firearms, one of which was reported stolen from Martin County. In addition to the firearms, 8 Pounds of Marijuana, 22 grams of Cocaine, 35 grams of suspected Hash Oil, and methamphetamines were also discovered. During the course of the investigation, Thadius Jackson, of Stuart, was identified as the target of the illegal drug sales taking place from the apartment. Jackson was arrested. He was charged with possession of Cannabis over 20 grams with the intent to sell within 1,000 feet of a park. Jackson was also charged possession of cocaine with the intent to sell within 1,000 of a park, possession of methamphetamine, possession of THC oil, and possession of drug paraphernalia. If you have any information of possible criminal activity, the Stuart Police Department encourages you to call Treasure Coast Crime Stoppers at 1-800-273 TIPS (8477). You can make a difference in your community while remaining anonymous. Cash rewards are offered for the tips that result in an arrest. 19 confirmed cases, 3 deaths of Hep A in Martin County. Press Conference today!